The owners of the Got Beach Fries to appear in court to argue that Fredericksburg officials are taking too-hard of a line against restaurants on wheels. 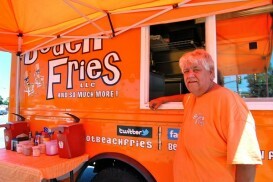 Richard "Eddie" Crosslin and his wife Kim spent thousands of dollars to create a mobile beach fries and crab cake vending truck, but says their business could be hurt by an interpretation of city laws which he says stifle an increasingly popular business option. Today, Crosslin and his company Got Beach Fries, go before the Fredericksburg General District Court on a zoning violation for operating his food vending truck without permission on the corner of Fall Hill Avenue and Jefferson Davis Highway. Crosslin says that he had been operating at that location since May. "It turned into a good spot for us," said Eddie. He lures customers with a bright orange delivery truck and Twitter tweets to devoted followers who go out of their way to find the truck. Crosslin, who lives in the White Oak area of Stafford County, was arrested for violating section 78-964 of the Fredericksburg code on July 25. The law prohibits any site-improvement activity from happening until the owner obtains permission from the zoning administrator. The law also prohibits changing the use of a property or structure until an occupancy permit is issued. After being charged with a zoning violation for his business activities, Crosslin decided to hold a small protest. On July 26, he set up at the corner of Fall Hill and Jefferson Davis, but did not sell a thing. Instead, they gave out free lemonade and the phone numbers of the Fredericksburg Planning and Community Development Office to would-be customers hungry for crab cakes and fries. Incensed at being unable to munch on surf and turf, dozens of customers called into the planning office on the spot to lobby for their beloved food truck. Kim Crosslin was surprised to see her husband's name in the daily Fredericksburg City Blotter on July 27. Having not been detained, they thought he had only been issued a ticket to appear in court and nothing more. "Although he was released on a criminal summons on the day in question, he was in fact arrested," wrote Natatia Bledsoe, public information officer for the Fredericksburg Police Department, in an email. "I think people often misunderstand that." Arrest aside, pointing to health and fire permits as well as a itinerant merchants license issued by the city, Crosslin argues that he has the necessary documents to operate his business. Ray Ocel, director of Fredericksburg's office of Planning and Community development, disagrees. He says that the itinerant merchant's license only allows Crosslin and other mobile vendors to set up shop at special events, defined in the city code as things like a "fair, street fair, show, exhibit or celebration open to the public." The only exception, he says, is the Fredericksburg Farmer's Market, of which Crosslin is a member. "Zoning wise, you cannot set up on private property or in the public right of way," said Ocel in an interview. 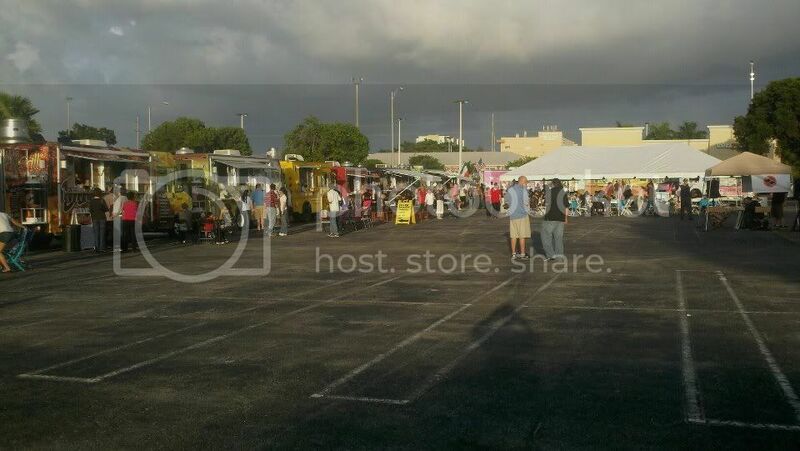 City zoning laws do not mention food vending trucks specifically, says Ocel. Eddie Crosslin says that needs to change, noting that food vending trucks can be a low-cost way to start a business. Ocel says that his office is not currently exploring any options to revise city code to address food vending trucks. Should Fredericksburg allow food vending trucks to operate more liberally in the city? If so, how and where?